I’m always looking for low cost ways to create natural treats for Chuy. 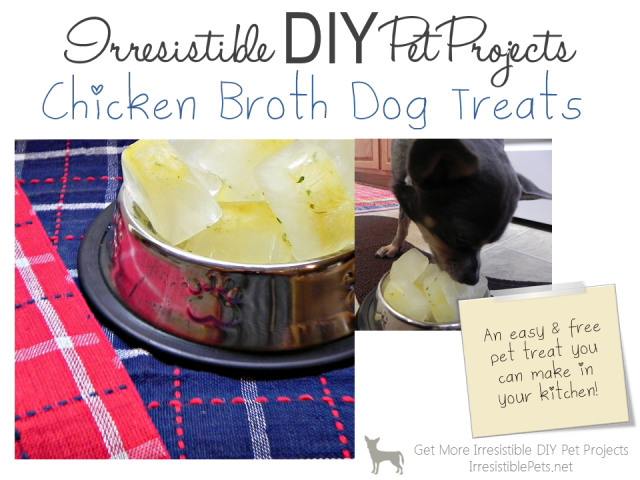 This frozen dog treat won’t cost you a thing as long as you have chicken bouillon and water! What’s this DIY Pet Project For? 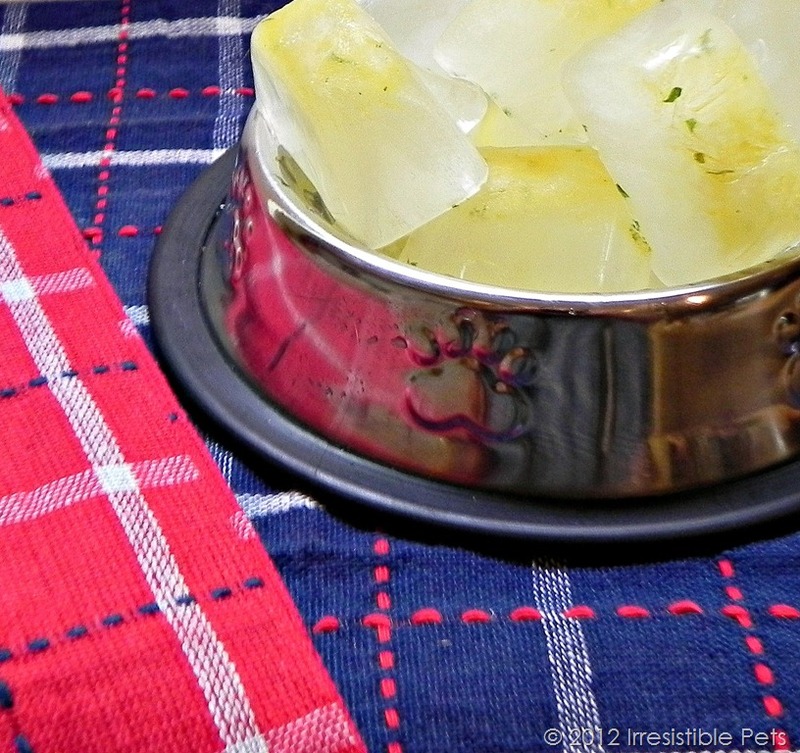 Serve to your dog as a cool treat on a hot day! Add an ice cube to your dog’s water bowl to add flavor and encourage them to drink. Serve as a treat anytime! NOTE: Some pets may react differently when you introduce a new food. Always check with your veterinarian if you are unsure about trying something new. 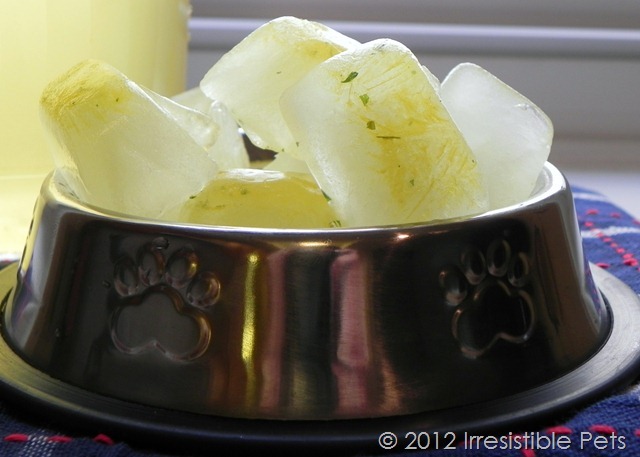 Supervise your pet when feeding them ice as some dogs have been known to get chipped teeth. Don’t overfeed! This project didn’t cost me a single penny! 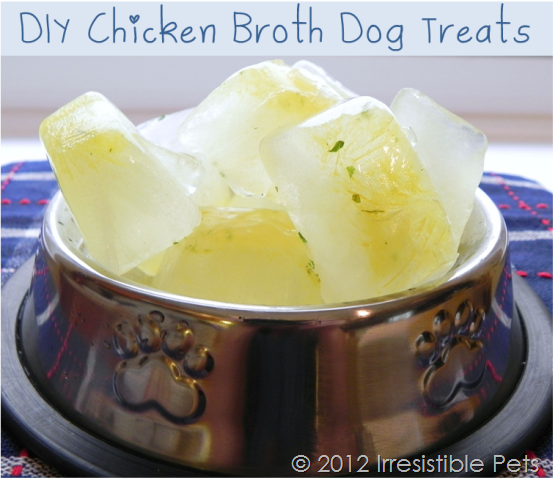 That’s because I already had chicken broth in my pantry. FREE treats? Yes, please! 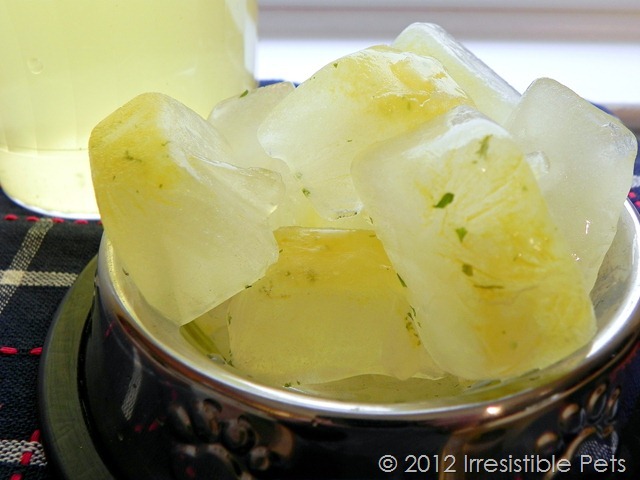 Learn how to make these frozen Chicken Broth Ice Cubes as pictured below. If you want to learn more, keep reading! Follow the instructions on the bouillon packaging and mix chicken bouillon and water in a pitcher or Pyrex measuring cup. 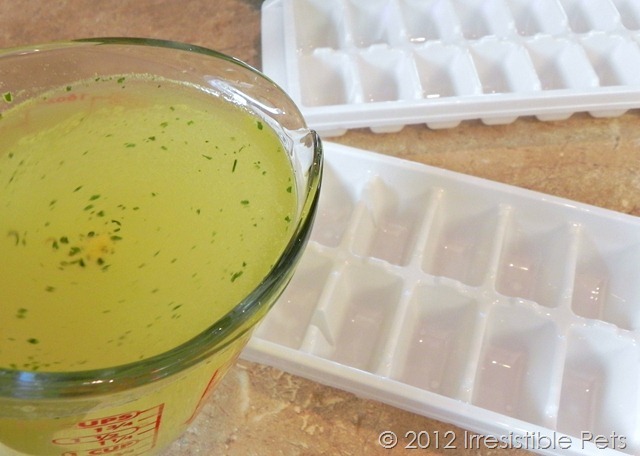 Pour the chicken broth into the ice cube trays. Place the ice cube trays in the freezer and allow the chicken broth to freeze into ice cubes. 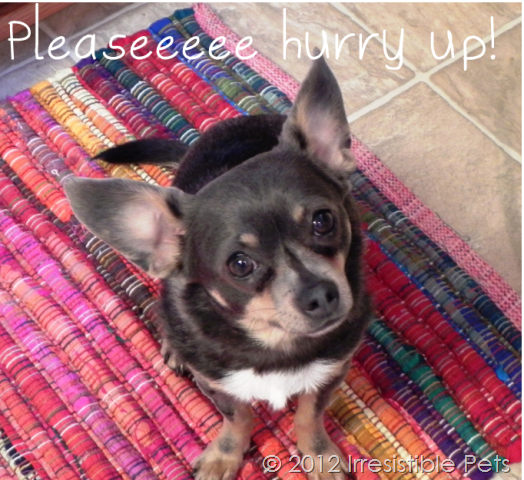 Chuy was pretty impatient waiting for them to freeze! Here’s what mine looked like when they were done. 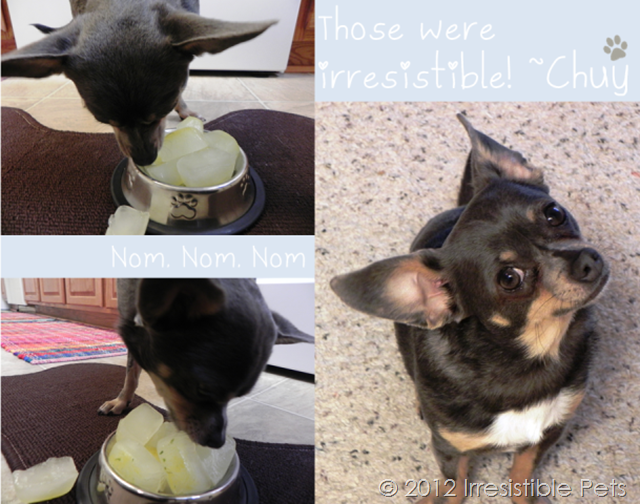 Chuy seemed to enjoy them! I do not recommend feeding more than one ice cube at a time which is all he had. 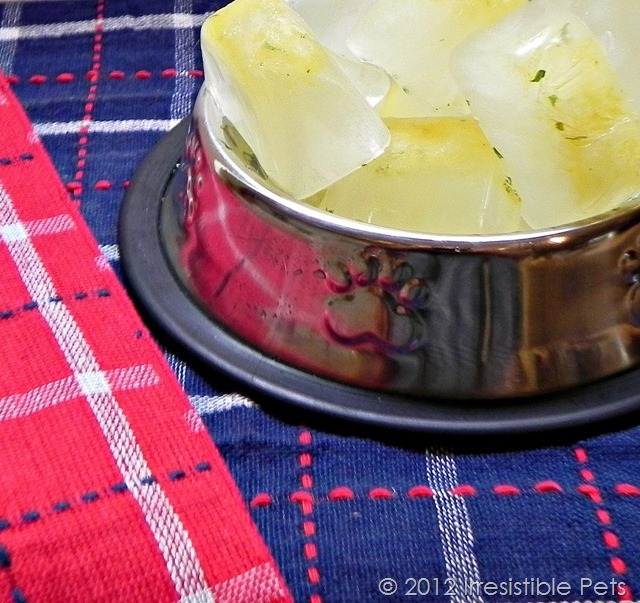 I hope you enjoyed this Irresistible Pets DIY project! Hopefully your pets do too! 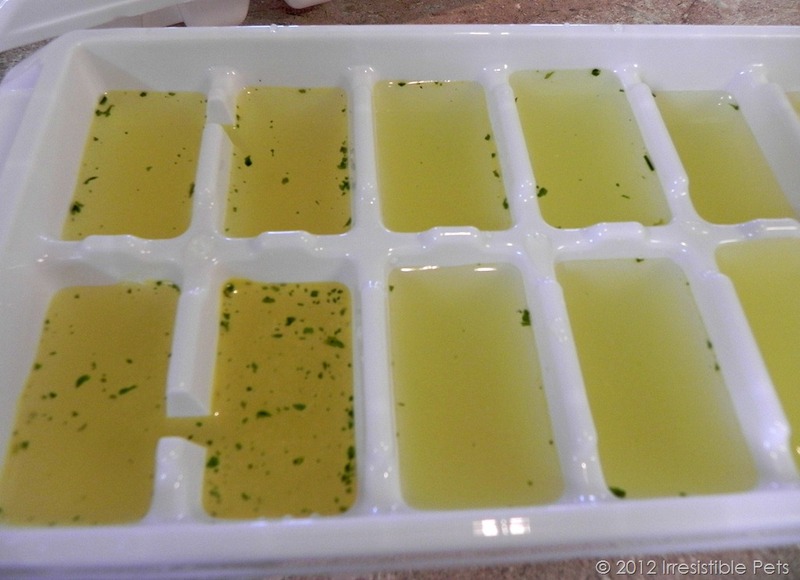 Can I use liquid chicken broth mixes with water in place of bouillon cubes? Yes, that should be fine. Just be aware of the sodium content! !